ABC Russian: Why do some Russians look Asian? Egor Kitov, a researcher from the Center of Physical Anthropology of the Russian Academy of Sciences, believes that there are three possible definitions of the term Asian in a Russian context. First of all, Asians are people who live in the Asian part of Russia, Kitov told RBTH. Secondly, being Asian is largely a matter of self-identification on the basis of language and culture. Turkic and Tungusic people can be listed as Asians, Kitov adds. Thirdly, Asians can simply be described as Mongoloids. Among them he listed Kalmyks, Evenks, Yukagirs, Buryats, Tuvans, Khakass, Chukchis, Koryaks, Eskimos and Aleuts. There are many more ethnicities of the Mongoloid race in Russia, he explains. However, identifying them is exceptionally hard since “the territory of modern Russia comprises of at least two races: Caucasian and Mongoloid,” and after many years of coexistence they have mixed in all kinds of proportions. Professor Ilya Perevozchikov, who co-wrote the main college textbook for anthropology students in Russia, agrees with Kitov. He told RBTH that the term Asian is quite misleading and vague. 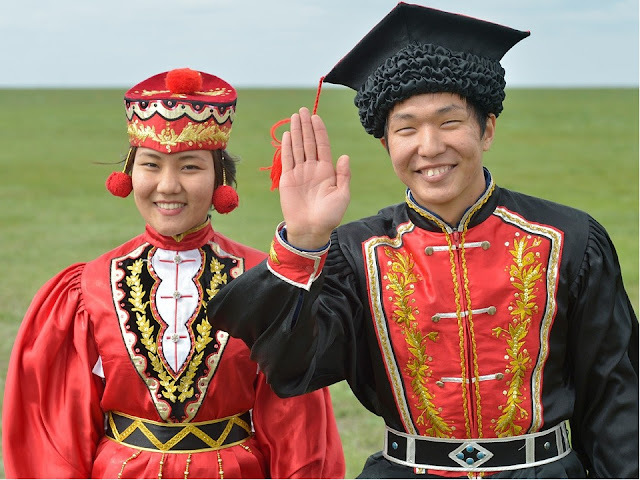 Asian-looking Tatars and Kazakhs, whom he cites as an example, are of mixed origin and have both Caucasian and Mongoloidblood. Perevozchikov says race and ethnicity are not connected at all. Race is a biological concept, while ethnicity is just a social notion, he adds. How many Asians live in Russia? According to the 2010 Russian Census, there are 193 ethnic groups in Russia. The following is a list of the ten most populous ethnic (traditionally accepted) Asians groups in modern Russia, based on census data. 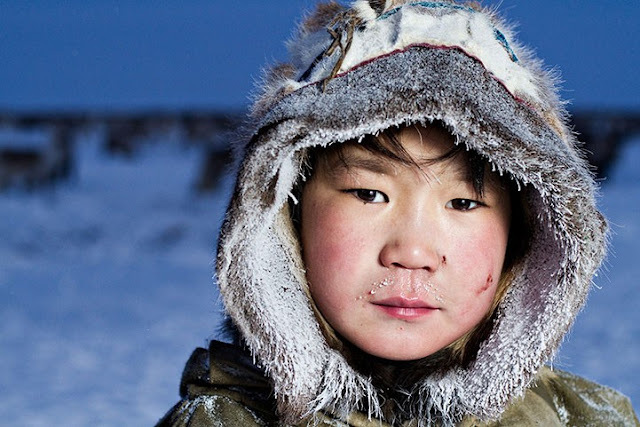 Although many indigenous people of the Russian North and Far East (like Chukchisor Aleuts) are a part of the Mongoloid race, they, unfortunately, are not included since their numbers are miniscule and in serious decline. The Russian government is undertaking measures to preserve the culture and traditions of these groups by supporting their associations and providing internships to them at the United Nations’ headquarters. Who exactly can be classified as an Asian is a matter of debate in Europe, Asia and the United States. Going by traditional definitions, Russia has 9.5 million ethnic Asian inhabitants, who form 6.5 percent of the country’s population. In comparison, according to the Pew Research Center, Asian Americans make up 5.8 percent of the population of the United States. Most of the Asian population of Russia lives in rural areas. 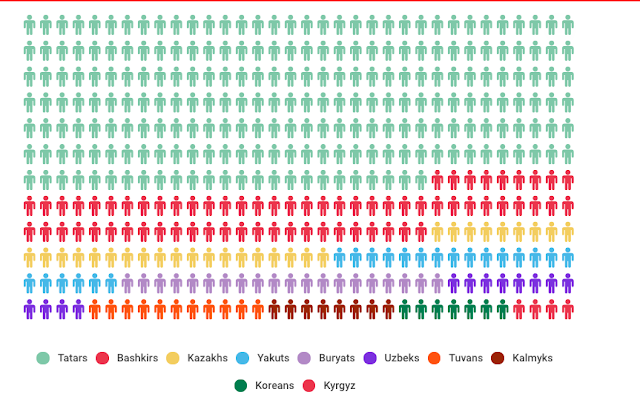 The only Asian communities that are largely urbanized in Russia are the Koreans, Tatars, Uzbek and Kyrgyz. Statistics show that women outnumber men in the Asian community, which is in accordance with a general Russian trend. Many Asian ethnic groups have a vague history, which makes it difficult for modern researchers to trace their ancestors. For example, Buryats originate from Siberianand Mongolian tribes and eventually settled down near Lake Baikal and the modern Russian internal republic of Buryatia. They were first mentioned in the ‘History of Mongols,’ the oldest surviving Mongolian-language literary work from the end of the 13th century. The history of the Kalmyks is also tightly connected with another Mongol tribe – the Oirats. The earliest written records of the Tuvan people refer to them as the Dingling. 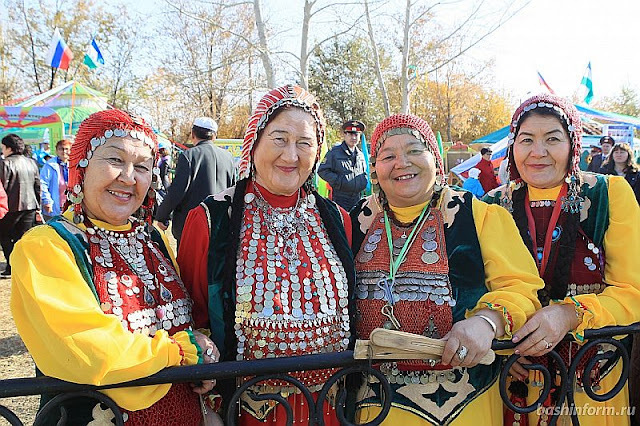 Tatars and Kazakhs share common ancestors and speak Turkic languages. 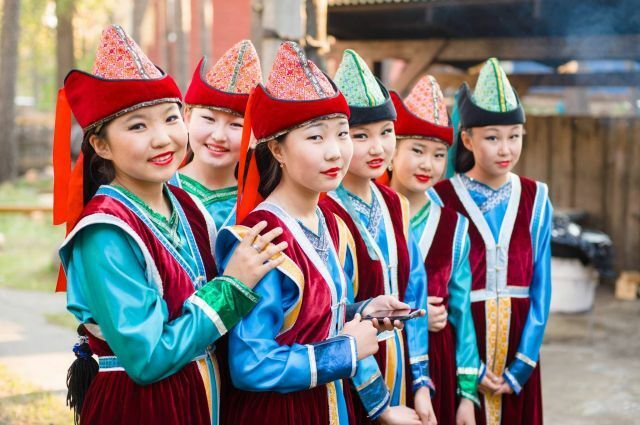 Yakuts, Bashkirs, Uzbeks and Kyrgyz people are also believed to have descended from Turkic ethnic groups native to Central Asia. Many Korean communities across Russia trace their roots back to the Koreans who lived in the Russian Far East during the late 19th century. Koreans, who left their country due to poverty, quickly adapted to the Far East and settled on empty farmlands. The Soviet Union deported most of them in the 1930s to Central Asian countries, where they continue to live now. The internal republics of Tatarstan and Yakutia also have large ethnic Asian populations. Many ethnic groups have a representative body and cultural centers. The Russian government has also set up the Federal Agency for Ethnic Affairs. The Russian Constitution guarantees the right of all internal republics to have their own state languages, apart from Russian. It also guarantees the right of ethnic groups to preserve their native language and create conditions for their study and development. Unfortunately, many Asian people from Russian republics are moving from their homes to Moscow or other economically developed cities. In 2013 more than half a million internal migrants moved to the European part of Russia. Statistics on government salary arrears might explain the urge to leave. In 2015 the Siberian Federal District owed its employees about 773 million rubles (about $13.3 million) in arrears, while the number in the Central Federal district was just 477 million rubles. The 2010 United States Census Bureau includes those who origins are in the Far East, the Indian Subcontinent and Southeast Asia, while the Swedish government also includes people of Middle Eastern origin. Both western and eastern non-governmental researchers do not concur on the definition of Asians, and although they mostly tend to use the term Mongoloid there are exceptions. For example, Dr. Marta Mirazon Lahr from the Cambridge University believes that “all Asian populations” can be grouped under the term Mongoloid. A 2011 style guide by professor David Blakesley recommends using the term Asian to refer to people living in Asian countries such as "China, Japan, Korea and Vietnam" unless a given situation makes using a specific national term more appropriate than using the broader Asian term.